At any given moment, there are hundreds of underutilized computing devices at cafes, airports, and even on the Tech Trolley. A computer, tablet, or smartphone just sitting in someone’s pocket could be used to perform computations and significantly help others. This is what Karim Habak, a Ph.D. student in the School of Computer Science, has been researching during his five years at Georgia Tech. “There are resources at the edge, and we’re not using them,” Habak says. Leveraging these existing resources to create a computing service is called edge or fog computing, and it is now one of the most vital and promising networking and computing concepts. Breaking something down to see how it could work better has always been Habak’s approach to computer science, even as a child growing up in Alexandria, Egypt. “Any toy I had as a kid, I would try to disassemble it and sometimes break it to figure out how it worked and then try reassemble it again,” he says. When Habak got his first computer in 1996, he was more interested in making than playing computer games and believed he would go into game design. 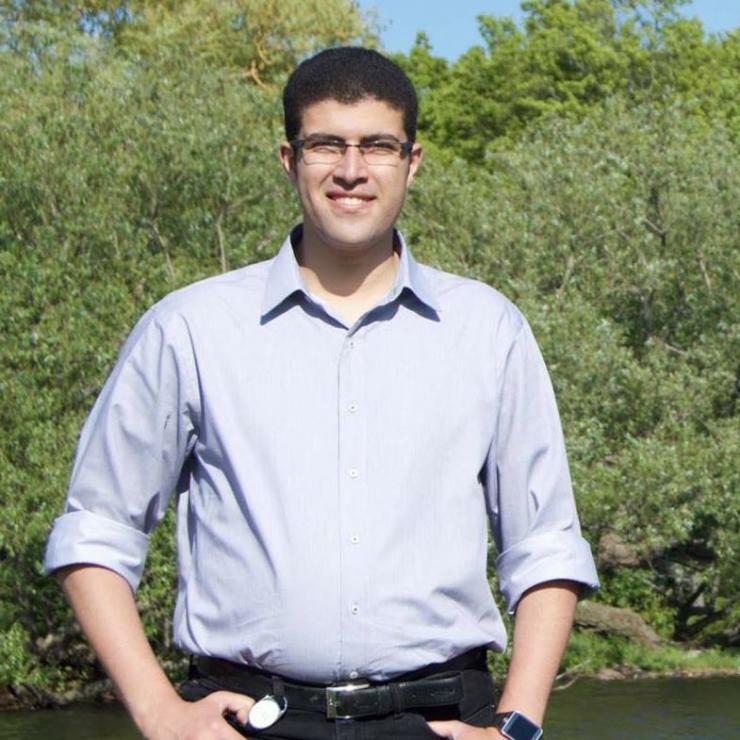 Yet as he started studying computer science at Alexandria University, he was drawn to distributed systems and networking for their hands-on approach to fixing computing problems. During his master’s at Egypt-Japan University of Science and Technology, Habak studied bandwidth aggregation, when he focused on enabling mobile devices to utilize their multiple network interfaces simultaneously. It was through this research that he came across the work of Professors Mostafa Ammar and Ellen Zegura in the networking field and knew he wanted to join them for his Ph.D.
At Tech, Habak has researched mobile device clustering, or harnessing all the untapped computing power of these idle devices sitting in our bags on commutes and at cafes. These clusters are inherently unstable, so much of the research has involved predicting how long people stay together in one location or area of interest, a process called churn modeling. “We’re trying to make a reliable service out of unreliable devices,” he says. Habak came up with the femtocloud, a mobile self-configuring cloud made from a cluster of mobile devices that provides a reliable compute service despite the churn of its devices. He will continue to explore this research when he joins Google’s Network and Infrastructure Team this summer.